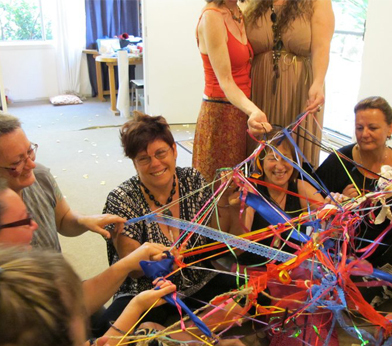 A felting play-shop; women working the fabric into artwork as a fun part of a Shematrix training in Byron Bay, Australia 2010. And always the laughter! 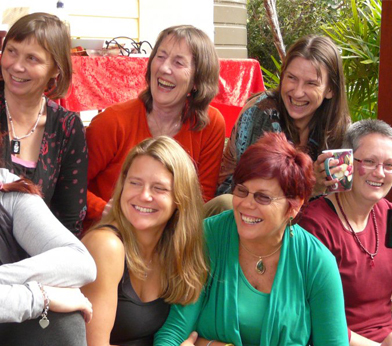 Blessed by the company of amazing fellow travellers, the women are nourished by the simple rituals of making tea, food and appreciating the beautiful space we gather in for the deep work of loving whatever shows up on the journey together! 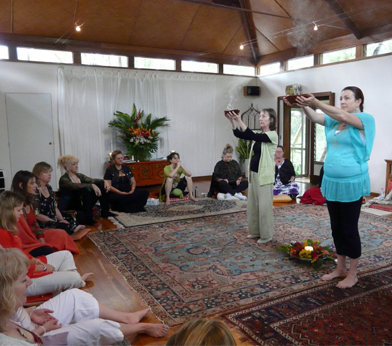 The circle is cast as the ritual smudging clears the space as an invitation to deep inner connection with infinite possibilities for healing, understanding and transformation. 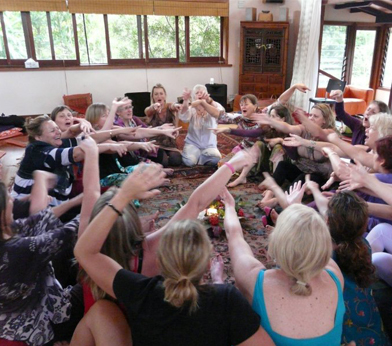 At the core of the work is the circle; the still, unknowable mystery welcomes everyone as equally precious, necessary and valuable, inviting women to find their unique and right relationship to themselves, their community and the world. 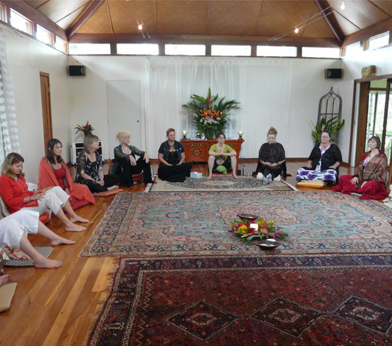 A joyous and ceremonial completion circle of a Shematrix training event, where the women release the past and set each other free to return to their lives, filled and deeply nourished. Byron Bay, Australia, Nov 2010. 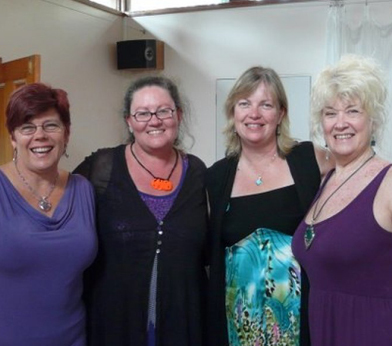 Four of the Shematrix guides meeting in nourishing, sacred space at one of the annual training intensive weekends. 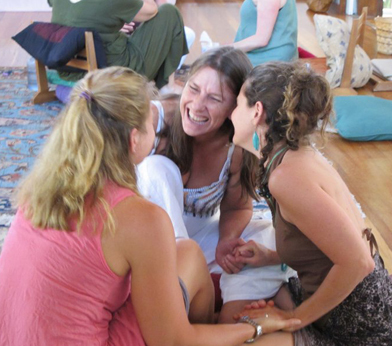 Out of chaos is born order! 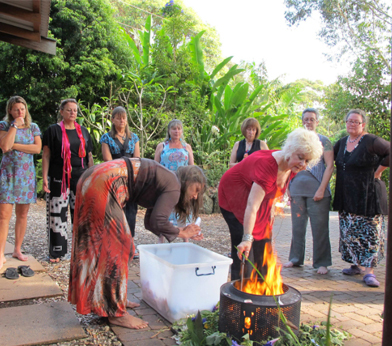 A new beginning at the ritual weaving as women commit their hearts, intentions and actions to manifesting the vision of Shematrix; at the training workshop in Byron Bay, Australia, November 2011. 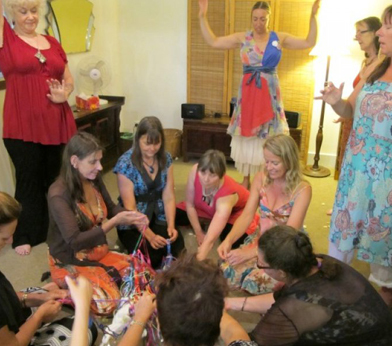 Women holding sacred space at the core of Shematrix in profound ritual, as the delicate threads of reweaving begin a new life for this body of transformational work.